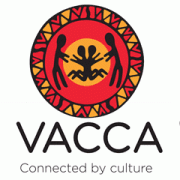 The Executive Manager is part of the VACCA Client executive and plays a major role in shaping VACCA’s strategic direction as well as ensuring VACCA meets its performance and statutory obligations. If you like to be part of an Organization that strives in strengthening the safety and wellbeing and cultural connectedness of Aboriginal children, individuals and families in their community, we want to hear from you! Please quote in application: Executive Manager via Pro Bono Australia.